Are you always looking at people with perfectly straight smiles and thinking to yourself, “why doesn’t my smile look like that?” If the answer is because you never had the chance to wear braces, then it’s not too late—no matter how old you are. 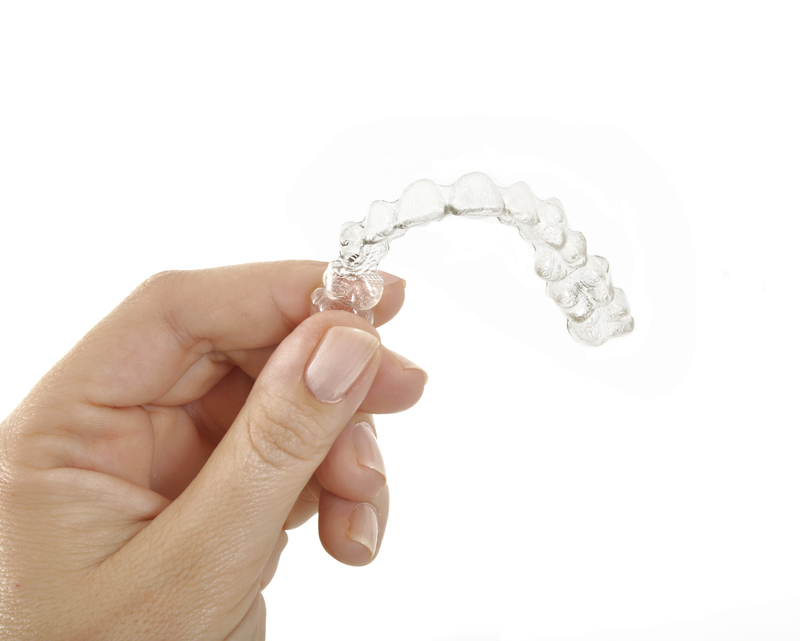 Invisalign® is an orthodontic system that is much more inconspicuous than traditional metal braces. With Invisalign in Los Angeles, Dr. Les Latner can give you the straight, beautiful and healthier smile you’ve always wanted. Most people are quite familiar with traditional braces; metal brackets are bonded to your teeth and an archwire is attached that moves your teeth into proper alignment. 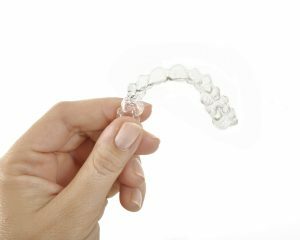 Invisalign does the same thing—but with clear plastic mouth trays instead of the metal brackets and wires. You don’t have to worry about your appearance with a mouthful of metal and there is no possibility of abrasions because Invisalign clear braces are made of smooth PBA-free plastic. Aside from the obvious, which is that Invisalign braces are not obvious, this orthodontic system offers several other advantages. First of all, the mouth trays are removable. Therefore, you never have to wonder if you are about to eat something that might damage your braces the way certain foods such as raw carrots or nuts can do to traditional braces. Just remove the aligners when it’s time for breakfast, lunch, dinner or a snack and enjoy whatever you like. Secondly, without braces in the way you can maintain your normal oral hygiene routine at home. Brushing and flossing are much easier with Invisalign. You can clean your teeth as usual, which reduces your risk of tooth decay and gum disease while you are having orthodontic treatment. Los Angeles dentist Dr. Latner is an Invisalign Preferred Provider. He works closely with technicians at the Invisalign lab to create clear braces that address the details of your occlusion, or your bite. Just like traditional braces, Invisalign can correct different types of malocclusions including an overbite, underbite or crossbite. These may not only affect the appearance of your smile, but they may also lead to the uncomfortable symptoms of TMJ dysfunction. Using 3D imaging, Dr. Latner creates a treatment plan that is the blueprint Invisalign uses to create the clear braces that will move your teeth in straight alignment. Within 12 to 24 months of beginning Invisalign in Los Angeles you’ll have a straight smile. To find out if Invisalign is right for you, call Westside Dental Associates today. by: Les Latner at September 29, 2016 .